I picked this up from the Kaya Clinic when I had gone for the Every Day Radiance treatment, was recommend this by the girl who did the treatment for me. Claims: Provides effective protection against harmful UVA and UVB rays. Lightweight. Nongreasy. Hydrates the skin. Matte finish. Prevents tanning and skin-ageing due to sun exposure. Non-comedogenic. Directions: Apply at least 20 minutes before sun exposure. The lady at the clinic told me this method of application: 5 dots of the product - forehead, cheeks, nose, chin. Blend into skin. She told me since I have already oily skin, I won't need another moisturizer (her opinion, not written on bottle). What's written on the bottle: After cleansing and toning, dispense an adequate amount of cream onto your hand. Massage gently onto the skin in an upward and outward motion. Leave for 60 seconds before applying make-up. So, I suppose no need for moisturizer! Deluxe, specially enhanced, triple strength conditioner. With that on the label, it sure got my attention! I have dry hair that has a mind of its own. Actually, it has a very predictable behaviour pattern - I want it to stay flat, it goes curly; I want to tie it up in a pony, it decides it wants to be parallel to the ground. In short, I have mad hair which people, for lack of a better word, would say dry, untamed..all very polite descriptions. The only thing that makes my hair look human is Dove - shampoo and conditioner combo. Only problem, it takes ages to wash out all the product from my hair. I also seem to have an ultra-sensitive scalp, and I am guessing something in the product was not pleasing it - always itchy and it was beginning to look like a dandruff problem. Anyways, since I switched to a Lush shampoo, I decided to try the conditioner too. Description: The packaging is similar to an icecream tub. 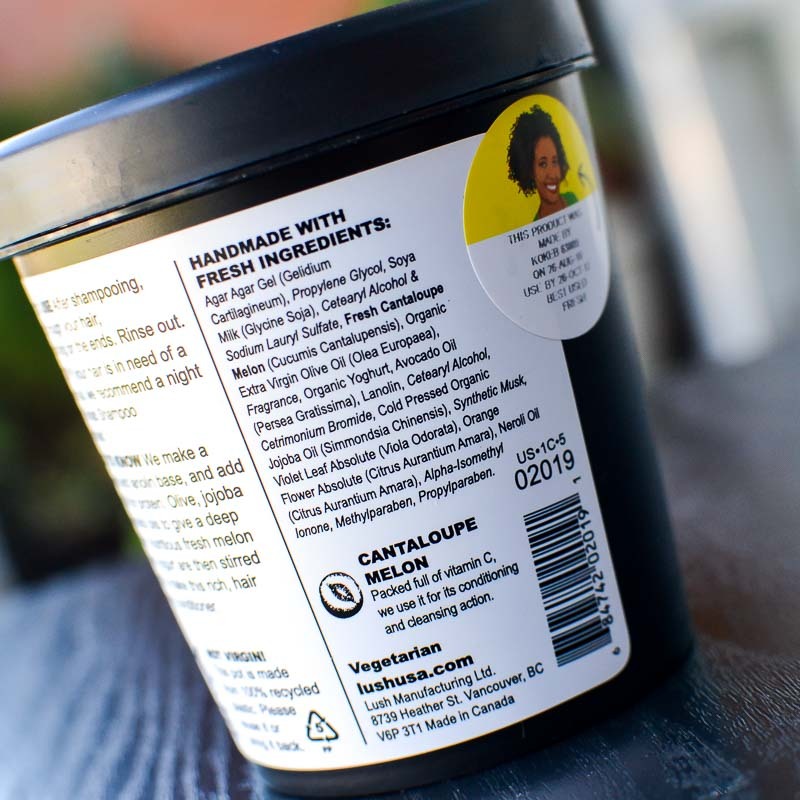 You can scoop out the product as needed with clean hands or a scoop. The conditioner itself is like thick custard..maybe like a reallllllly thick lotion. The pic might give an idea. Very similar to the deep conditioning mask by Dove. The smell is a pretty strong flowery kind of smell. I love the smell, but there are people who might not. As with almost all Lush products, sniff at the store before buying :-) And the smell lasts in my hair for quite some time. A good thing for me because hubby seems to like it! How to use: Pretty simple. Shampoo hair as usual. 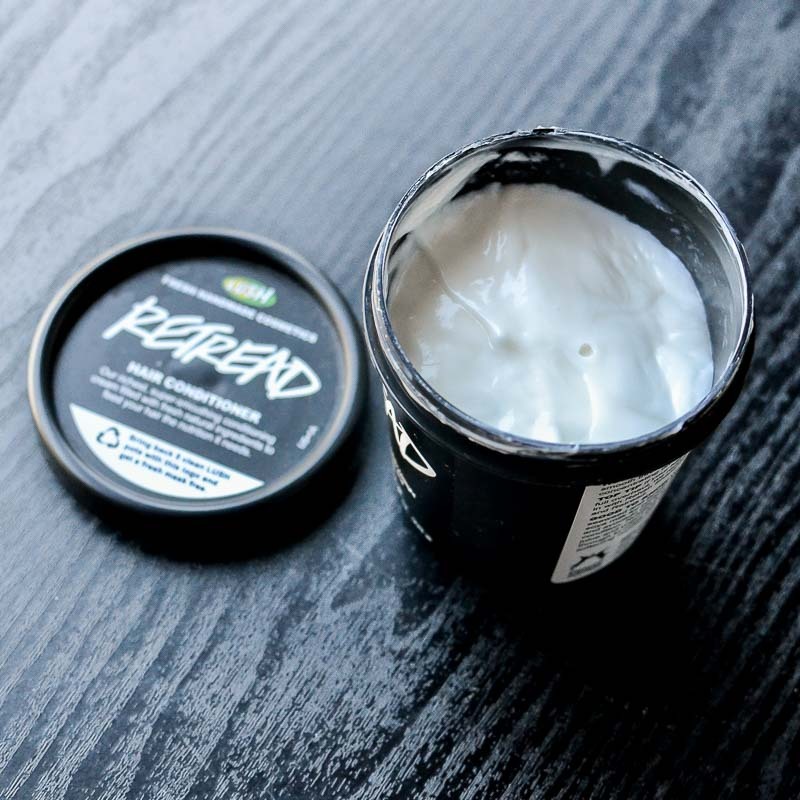 Scoop about a teaspoon or two of the conditioenr (depending on the length of your hair) and apply to damp hair. I make sure I squeeze out as much water as I can out of my hair before applying it pretty liberally over my hair, gather up my hair and tie it up with a large clip, and finish my bath. This gives the conditioner some time to work on my hair. Then, I wash off the conditioner. Results: My hair is amazingly soft and shiny - well as much as it is possible for my kind of hair to get. 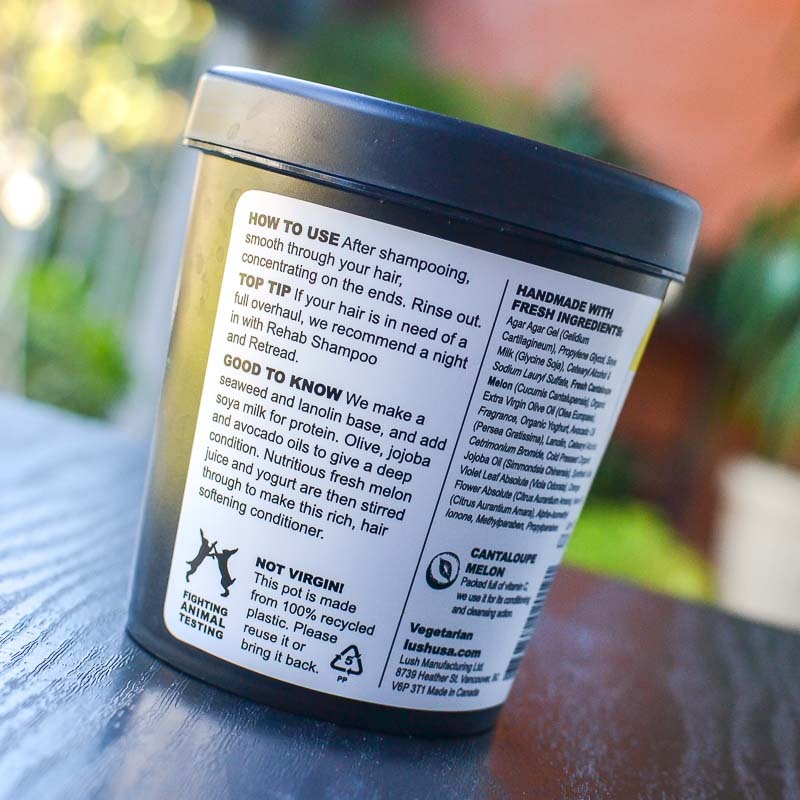 Lush products do not contain silicones and will definitely not give the shiny smoothness that Dove or any such product would give. It took a little while getting used to this, but I think its more like naturally healthy hair shine. My recommendation: This product is meant for dry hair. For fine hair or hair that gets greasy very fast, I won't recommend this. It can be a little too heavy. I also won't recommend it if you have a problem with strong smells. I like the smell, but my friend would get a headache with it. Ask for a sample (hahahaha...ya I know, Lush and samples!!) 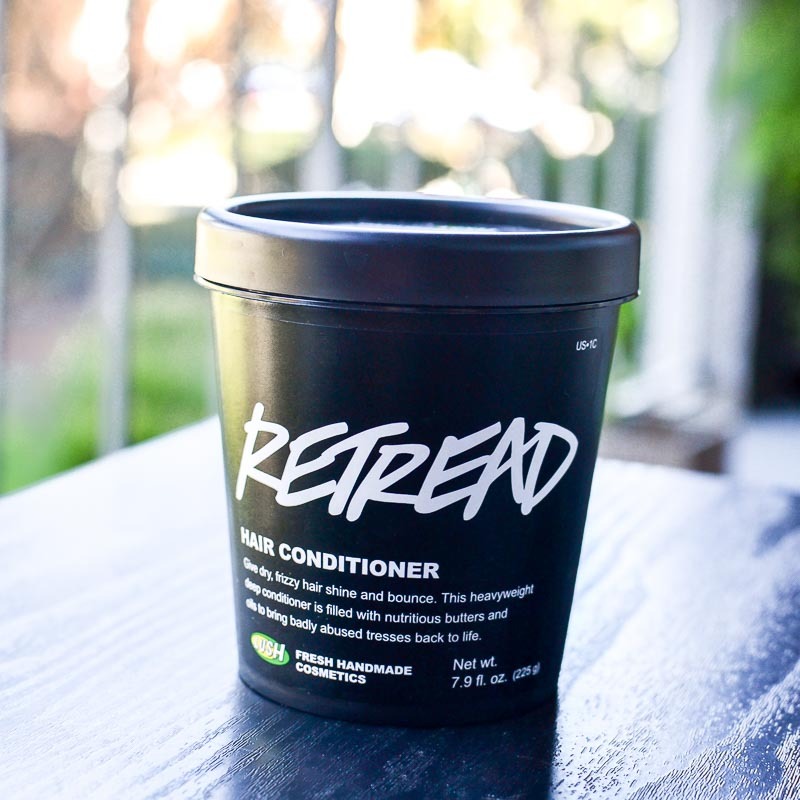 before buying or maybe ask a friend who already uses this :-) It might also work as an occasional deep conditioning treatment for otherwise normal hair. Part of Clinique's very famous 3-step skincare, the Dramatically Different Moisturizing Gel is my go-to moisturizer for the summers. I have oily-combination skin, and in summers it tends to be at its oily worst! And if I stay in a place with high humidity, sigh..let's just not go down that road. I tried a sampler of this, and then went back to buy the full-size tube. Clean white counters and muted colours. People in white coats. No, I wasn't in the hospital...I was at the Clinique counter. I wasn't planning to walk in, but the guy at the counter asked me if I was interested in a skincare consultation, and I had time to kill, so I agreed. They also offer makeup consultations and recommend the right makeup depending on the skin type and specific concerns, but I opted for the skincare consult. Have to say, I find the staff at the counter very helpful and friendly. The skincare consult involved answering a few questions about my skin type and some staring at my face through what looked like a huge magnifying glass. I am a bit of a clean freak, and the SA used a hand cleanser - just in case anybody else reading this is like me! Clinique classifies into 4 types. Mine, I was informed, is Type 3 - combination oily to oily skin. Now comes the 3-step process - Cleansing, Toning/Exfoliation, Moisturizing. This is what Clinique says: "Custom-fit steps give your skin exactly what it needs to be great skin. Cleanse deeply but gently. Exfoliate to sweep aside dulling flakes, refine pores, soften fine lines. Moisturize and build a barrier against impurities. Each step helps the other work better. And after 3-Step, treatments work better. Makeup looks better, too." I never find any reviews or information regarding the various services at Kaya Skin Clinic so I thought will share this. This article is just my opinion and my way of explaining this - please check with your doctor or dermatologist before opting for any service. Call up one of the Kaya Clinics and you can also check their site - www.kayaclinic.com. In 1920 Max Factor gave into Frank Factor’s suggestion and officially began referring to his products as “make-up“ based on the verb, "to make up" (one's face). Up until then the term "cosmetics" had been used as the term "make-up" was considered to be used only by people in the theatre or of dubious reputation and not something to be used in polite society. This is my first product from Max Factor. I had seen this with my sister and the packaging caught my eye. Of course, we were so busy gossiping and shopping, that I completely forgot to try it out when she was here!